Quantum teleportation is one of the most important protocols in quantum information. By exploiting the physical resource of entanglement, quantum teleportation serves as a key primitive in a variety of quantum information tasks and represents an important building block for quantum technologies, with a pivotal role in the continuing progress of quantum communication, quantum computing and quantum networks. Here we review the basic theoretical ideas behind quantum teleportation and its variant protocols. We focus on the main experiments, together with the technical advantages and disadvantages associated with the use of the various technologies, from photonic qubits and optical modes to atomic ensembles, trapped atoms, and solid-state systems. Analysing the current state-of-the-art, we finish by discussing open issues, challenges and potential future implementations. A team of University of Queensland physicists has transmitted an atom from one location to another inside an electronic chip. The team, which includes Dr Arkady Fedorov and Dr Matthias Baur from UQ’s ARC Centre of Excellence for Engineered Quantum Systems and the School of Mathematics and Physics, published its findings in Nature this month. Dr Fedorov said the team had achieved quantum teleportation for the first time, which could lead to larger electronic networks and more functional electronic chips. 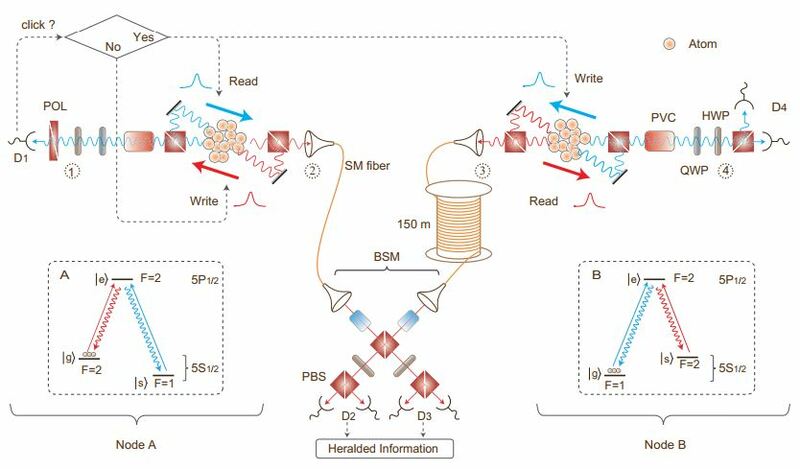 “This is a process by which quantum information can be transmitted from one place to another without sending a physical carrier of information,” Dr Fedorov said. Dr Fedorov said the key resource of quantum teleportation was a special type of correlation, called entanglement, shared between a sender and a receiver. “Once entanglement is created, this ‘impossible’ information transfer becomes in fact possible thanks to laws of quantum mechanics,” Dr Fedorov said. “For the first time, the stunning process of quantum teleportation has now been used in a circuit to relay information from one corner of the sample to the other. “What makes our work interesting is the system uses a circuit, much like modern computer chips. “In our system the quantum information is stored in artificial structures called quantum bits, and you can even see them with your bare eyes. “This is surprising because people typically expect quantum only at atomic scales, not even visible with electronic microscopes. “In our Superconducting Quantum Devices laboratory at UQ we are using this technology to further enhance our knowledge about the quantum nature,” Dr Fedorov said. 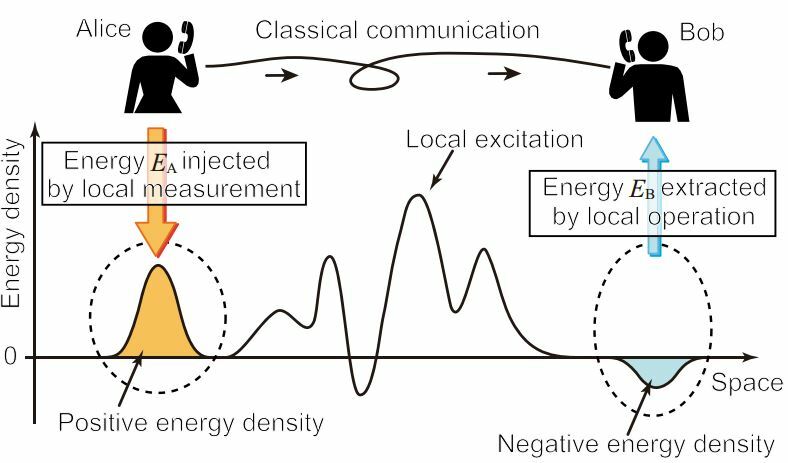 This research indicates that questions relating to the physics of quantum communication can be addressed using electronic circuits at microwave frequencies. “One may even foresee future experiments in which quantum information will be distributed over larger distances directly by microwave to optical interfaces for quantum communication,” Dr Fedorov said. 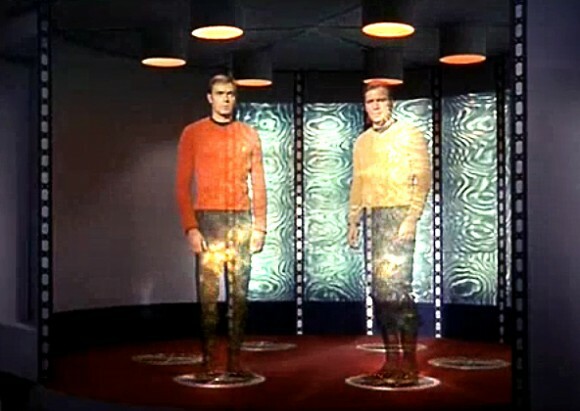 Teleportation is expected to find applications in secure communication and in more efficient information processing based on the laws of quantum physics. 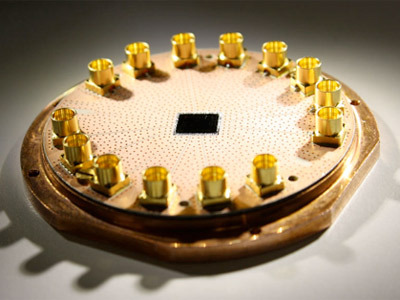 EQuS aims to initiate the Quantum Era in the 21st century by engineering designer quantum systems. Through focused and visionary research, EQuS will deliver new scientific insights and fundamentally new technical capabilities across a range of disciplines. Impacts of this work will improve the lives of Australians and people all over the world by producing breakthroughs in physics, engineering, chemistry, biology and medicine. Quantum teleportation allows for the transfer of arbitrary unknown quantum states from a sender to a spatially distant receiver, provided that the two parties share an entangled state and can communicate classically. It is the essence of many sophisticated protocols for quantum communication and computation. Photons are an optimal choice for carrying information in the form of ‘flying qubits’, but the teleportation of photonic quantum bits (qubits) has been limited by experimental inefficiencies and restrictions. Main disadvantages include the fundamentally probabilistic nature of linear-optics Bell measurements, as well as the need either to destroy the teleported qubit or attenuate the input qubit when the detectors do not resolve photon numbers. Here we experimentally realize fully deterministic quantum teleportation of photonic qubits without post-selection. The key step is to make use of a hybrid technique involving continuous-variable teleportation of a discrete-variable, photonic qubit. 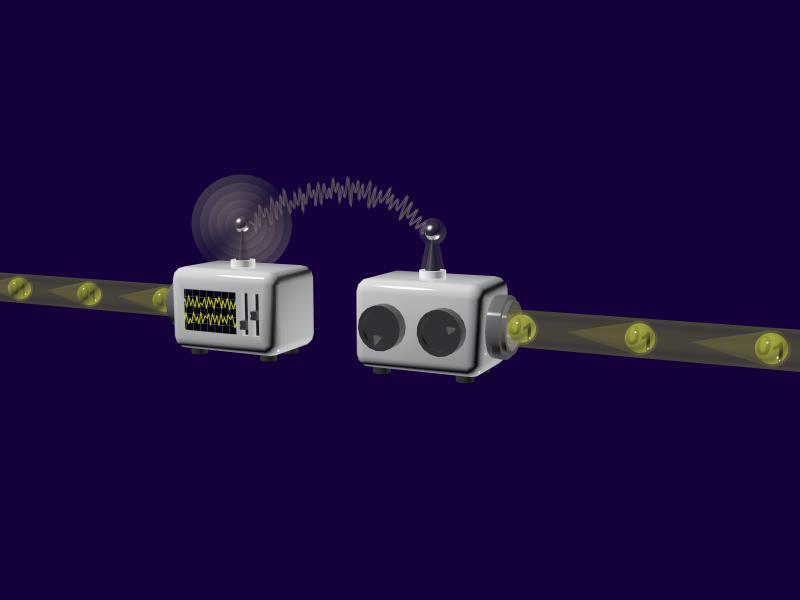 When the receiver’s feedforward gain is optimally tuned, the continuous-variable teleporter acts as a pure loss channel, and the input dual-rail-encoded qubit, based on a single photon, represents a quantum error detection code against photon loss and hence remains completely intact for most teleportation events. This allows for a faithful qubit transfer even with imperfect continuous-variable entangled states: for four qubits the overall transfer fidelities range from 0.79 to 0.82 and all of them exceed the classical limit of teleportation. Furthermore, even for a relatively low level of the entanglement, qubits are teleported much more efficiently than in previous experiments, albeit post-selectively (taking into account only the qubit subspaces), and with a fidelity comparable to the previously reported values. Quantum energy teleportation (QET) is, from an operational viewpoint of distant protocol users, the transportation of energy via local operations and classical communication. QET has various links to fundamental research fields, including black hole physics, the quantum theory of Maxwell’s demon, and condensed-matter entanglement. There are promising signs that QET will be experimentally verified using the chiral boson fields of quantum Hall edge currents. In this Letter, we prove that, using the vacuum state of a quantum field, the upper bound of the amount of energy teleported by QET is inversely proportional to the transfer distance. This distance bound can be overcome by using squeezed states with local-vacuum regions. Working in the exotic-sounding field of quantum teleportation, physicists are trying to make it easier to transmit quantum information in the form of qubits from one location to another without having the qubits actually travel through the intervening space. One challenge in quantum teleportation protocols lies in producing the enormous amount of entanglement required to send each qubit, a requirement that makes teleportation impractical for real applications. To overcome this problem, the scientists have proposed the idea of entanglement recycling, where the entanglement needed to send a qubit can be reused to send other qubits, greatly reducing the amount of entanglement required…. One of the enabling technologies behind a quantum internet will be quantum routers capable of transmitting quantum information from one location to another without destroying it. Just a couple of weeks ago, we discussed a Chinese experiment in which physicists teleported photons over a distance of almost 100 kilometres. That’s almost an order of magnitude more than previous records. Today, European physicists say they’ve broken the record again, this time by teleporting photons between the two Canary Islands of La Palma and Tenerife off the Atlantic coast of north Africa, a distance of almost 150 kilometres. That’s sets the scene for a fascinating prize. Both teams say the next step is to teleport to an orbiting satellite and that the technology is ripe to make this happen. The Canary islands experiment was no easy ride. In ordinary circumstances, the quantum information that photons carry cannot survive the battering it gets in passing through the atmosphere. It simply leaks away. Indeed, the European team say that unusually bad weather including wind, rain, rapid temperature changes and even sand storms all badly affected the experiment. “These severe conditions delayed our experimental realizations of quantum teleportation for nearly one year,” say Anton Zeilinger at the Institute for Quantum Optics and Quantum Information in Vienna and a few pals. To perform this experiment, Zeilinger and co had to perfect a number of new techniques to dramatically reduce noise, which would otherwise overwhelm the quantum signal. Perhaps the most significant of these is a way of using entangled photons to synchronise clocks on both islands. That’s important because it allows the team to send photons and then look for them at the receiver at the exact instant they are due to arrive. This significantly reduces the number of extraneous photons that could swamp the signal. The GPS system allows clocks to be synchronised in a way that allows a 10 nanosecond coincidence window. But entanglement-enhanced synchronisation allowed Zeilinger and co to use coincidence windows just 3 nanoseconds long. The results sets up an interesting race between east and west. These experiments are proof-of-principle runs for a much more ambitious idea–quantum teleportation to orbiting satellites. Since teleportation is the basis of more-or-less perfectly secure communication, the prize here is a global communications network that cannot be hacked, even in principle. “The technology implemented in our experiment thus certainly reached the required maturity both for satellite and for long-distance ground communication,” say Zeilinger and co. The questions, of course, is who will be first to orbit. The Europeans have a space agency that could be persuaded to test this idea but they won’t be in a hurry. China is currently showing great ambition in space and will want to show off its technological prowess. Both have the wherewithall to pull off this next step. The contrast with the US couldn’t be clearer.